A car has many working components, and any of these components can become faulty, whether in the engine, transmission, wheel stations, or electrics. At Palmeira Servicing we have an extensive knowledge of the workings of a car, from engine components to computerised systems. 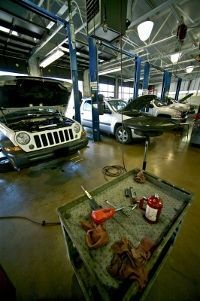 With our expertise we can locate and repair a fault quickly and efficiently. Our garage has been a Brighton and hove taxi approved repairers for over 20 years. we are specialist repairers in Mercedes and BMW. 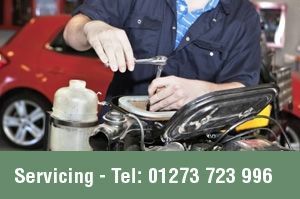 Vehicles cost enough to run without paying high prices for your repairs and servicing! If you are concerned about any aspect of your vehicle's performance, contact Palmeira Bodyworks and Servicing to find out about our fault diagnosis service. 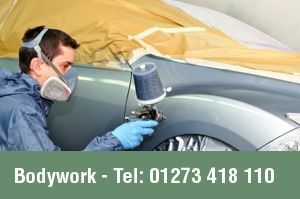 You can also call 01279 723996.